The Award-winning superstar Burna Boy who has recently crowned the Best Artist in Africa at the Sound City Awards as bagged a new deal. 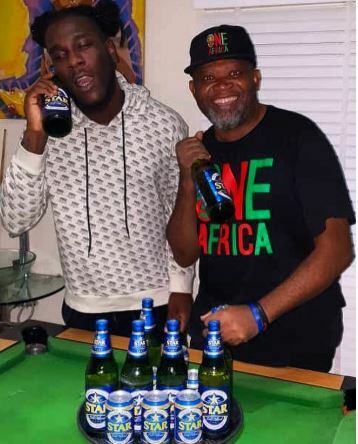 According to the report from the Popular Show Promoter Pauloo, he shared a picture on his Instagram handle to confirm the done deal of Burna Boy becoming the New Star Lager Beer Ambassador. The post CONGRATS! Burna Boy Signs Star Ambassadorial Deal appeared first on Naijaloaded | Nigeria's Most Visited Music & Entertainment Website.